Mighty God, you sing freedom from the heights of glory. If we are imprisoned in body, you call us to free those held captive in soul. 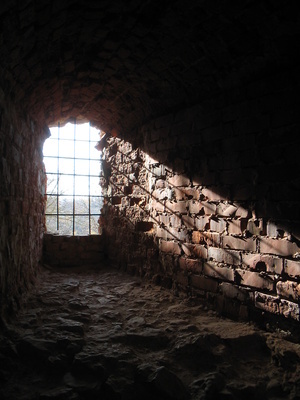 You lock the righteous to the sinner to proclaim salvation in dark places. Bend open the bars of our hearts and release us from our chains. Give us courage to lay down our lives for those condemned by the world but not forgotten by you. In the name of Christ we pray, who stepped forward to a prisoner’s execution so that we might know the truth and be saved. This entry was posted in Christianity and tagged devotional, eternal life, freedom, healing, hymn, jesus, paul and silas, prayer, prison, sin. Bookmark the permalink.